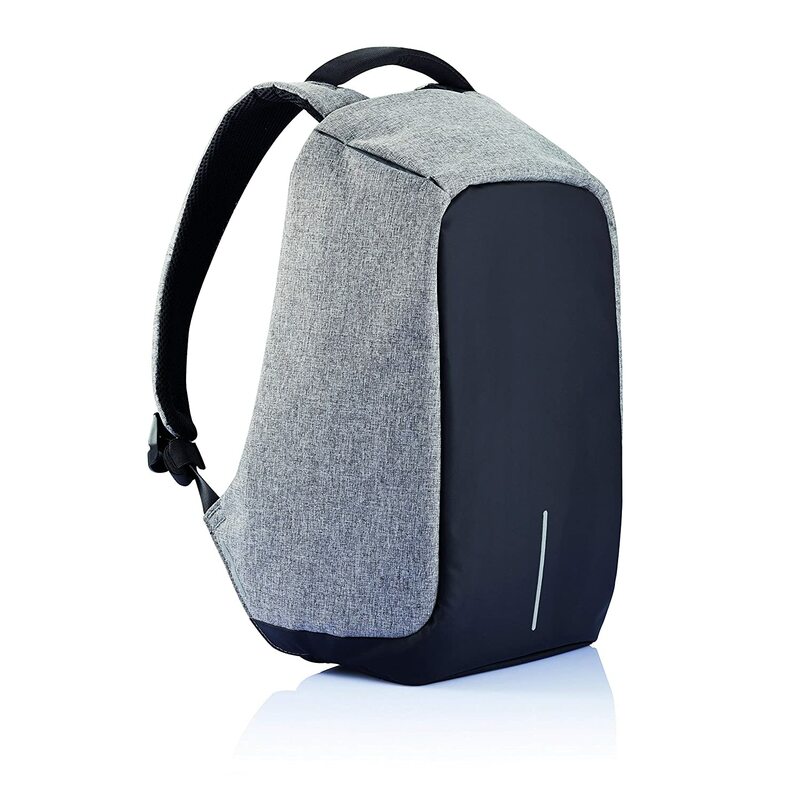 Bobby Anti-Theft backpack features cut-proof design, hidden zipper and secret pockets. Every day 400.000 pick pocket incidents occur worldwide. Never worry about this happening to you with the Bobby Anti-Theft backpack. Key features as cut-proof material, hidden zipper closures and secret pockets will keep your belongings safe during your commutes. Simply connect a powerbank on the inside and connect your phone on the outside. The Bobby fits a 15,6″ laptop and a tablet up to 10″. For the heavy rainfall we offer a Bobby Raincover which can be bought seperately.